We strictly follow “Principles of Transparency and Best Practice in Scholarly Publishing” available at the DOAJ Website. Influence: Any packaging or combined offering of the publisher does not affect the independence of editorial decision or influence the editorial vision for the journal. Additionally, editorial decisions are free of commercial and organizational influences. All authors and editors operate without conflict of interest and all potential conflicts are disclosed (please also see Conflict of Interest Policy). Mutual Entity: In order to operate a journal, Editorial board actively seeks input from editorial board members, internal editorial staff, and readers. We ensure that contents are judged the most transparent ways possible and a fair play for stakeholders of the journal including authors, editors, publishers and reviewers. Type of Peer Review: We generally follow single blind reviewing except for the journals where we employ double-blinded approach. In these cases, it is clearly mentioned in the Author’s guidelines. Selection of Reviewers: reviewers are selected based on their best-matched expertise to the contents being reviewed. Occasionally, author’s recommendations are considered, however, rarely decisions are based solely on these recommendations. Duration of Review Process: The decision of the editor is based on the reviewer’s recommendation. Occasionally, contradictive reviewer's reports require additionally feedback and thus cause delay in editor’s decision. Editorial Decision: Editor’s decision include comments from reviewers, editorial concerns, editor’s comments and instructions to submit revisions if applied. The interested reviewers are then sent the revised manuscripts to approve or reject the revision made by the author. We follow the Conflict of Interest in Peer-Reviewed Medical Journals, which is prepared by WAME Editorial Policy and Publication Ethics Committees. •	Funding Agencies (if any), which have supported the work. Authors are required to provide information on the names, titles and project cods if applicable. It is also requested to define the role of funding agencies whether those we involved in the design of study, have supported data analysis and interpretation, writing of the manuscript or has played any roles in the media of publication. •	Authors should also declare if they have access to the study data and if so, what is the nature and scope of this access. Human objects have a right to maintain privacy and no information to be written without prior informed consent. Photographs and pedigrees should be omitted unless it is essential for scientific purposes. However, the patient (or parent or guardian) should provide written informed consent prior to publication. Details that help others to identify patients shall be omitted, however, the data shall not be altered, modified or falsified to attain anonymity. In cases, where anonymity is difficult to achieve, serious and possible efforts are considered sufficient for example masking the eye areas in photographs is inadequate protection of anonymity. In case human objects are used in the presented research, authors are required to include a statement from the objects/guardian under the caption of ‘Consent’. Informed consent also include that patient has seen the manuscript that is being presented for publication. We demand full research compliance within our pre-defined ethical framework. In case of deviation from this framework (either before publication, during processing or post-publication), the editorial team will take necessary actions to stop this happening according to our Misconduct Policy and Plagiarism Policy. Text plagiarism is defined as the copying of text, data and other creative work (e.g. tables, figures and graphs) and submission as original research without proper or prior acknowledgement to the original research. Being member of iThenticate/Cross-Check and Turintin, we assess the text plagiarism upon submission of every document. Any document containing text identity more than 15% (as defined by several scholarly associations), the manuscript is returned to authors along with plagiarism report. Authors are given opportunity to revise the document and resubmit the manuscript. Stealing of ideas and use of figures, tables and arte work is considered misconduct. The Editorial Office strictly monitor any obvious fraudulent data prior to the review process and if plagiarism is detected at this stage or later, the manuscript will be rejected and will not be reconsidered in any journal published independently or in association with ResearchersLinks, UK. Depending upon the severity of misconduct, the publisher may contact the author(s)’ institution or refereed ethics committee. On rare occasions, if the Editor has serious concerns about the ethics of a study, the manuscript may be rejected on ethical grounds, even if approval from an ethics committee has been obtained. If the authors want to retract the article, the editorial office should be informed on their decision. By all means, articles are accepted not on business or political gain but on the intellectual and ethical standards. We collect information that you have provided during registration and submission of the manuscript as author, editorial board members, associate editors, and reviewers. During this process, several level information such as your name, password, address, email address, phone number, and areas of expertise are collated. We may also record your information upon your contact for assistance and help. Occasionally, we collect information related to user’s website and devices including IP address, geographical location, device information, browser type, and number of page views through third-party analytics service. We use this information for publication of articles in our journals, launch of new journals or special issues that we believe may interest you, or for customer service and support. We may occasionally use this information to invite you in surveys to improve our services. All invited participants are given opportunities to unsubscribe and their decisions are fully respected. We treat all these information strictly private and are not passed to any third party. While we are based in European Economic Area (EEA), we involve third parties to provide web-hosting, cloud back up, IT services and journal production services. In events of need to use your information outside the EEA, we will make every effort to protect the information through cross-border transfer solutions such as the European Commission’s Standard Contractual Clauses. To ensure best services to unique users, we employ cookies, which are small text files that store your information on the device you use. These cookies help user to smoothly browse information and facilitate their research on intended websites. If you are concerned about the information to be collected through our cookies, you may like to change the settings on your browser or device to reject cookies. You hold rights to change information through updating the information in the Manuscript Handler, which is the main source for information collection for all users. You are also entitled to request to not to use your personal information for marketing purposes. However, please note that we have to retain some of your personal information such as email addresses to communicate manuscript processing and decisions. All research and scholarly publications published by the ResearchersLinks are open access through a Creative Commons Attribution-Non Commercial License. •	ResearchersLinks permits unrestricted use, distribution and reproduction in any medium, provided the original work is properly cited. •	Unrestricted access to research and scholarly publications on worldwide web. •	Timely and fast access to research and scholarly publications without any embargo time and delays. •	Authors retain all copyright of their original research. •	Authors' affiliated institutes or research-funding agencies financially support Article Processing Charge (APC) for accepted articles, which are placed at competitive levels by ResearchersLinks independently or in agreement with sponsoring institutions or societies. ResearchersLinks is a RoMEO green publisher — RoMEO is a database of Publishers' copyright and self-archiving policies hosted by the University of Nottingham. The concept of Open Access is explained in this short video on YouTube. Accessibility and Reflectiveness: Due to unrestricted access to contents under open access umbrella, the research outcome reaches to audience without any barriers and covers broader audiences. Everyone with access to internet can freely obtain contents immediate to their release, further facilitate their inclusion in search engines and obtaining attentions of readers that are true beneficiaries of these national and international investments. Enhanced Achievability and Impact: One of the primary objectives of research investments is to advance our understanding on matters that safeguard humanity. Owing to public availability, freely available contents are by nature achieve high impact. Financially Competitive: Since the cost of publication is being paid “once-for-ever”, the net investment on publication of an article under open access is fractional to the subscription charges that require continual renewals. Additionally, open access journals provides publication of unlimited experimental procedures and full results, access to these contents further encompass barriers. Matter of Public Right: Subscription-based article access can only be made by institutions or now by individual subscription or pay as you go. While research funded by public funds, subscription implies an additional layer of financial burden to general public in gaining benefits of research that matters the most to them. Timely Information: Open access articles, as that of all journals operated by ResearchersLinks, are made available online immediately after their acceptance. The research findings reaches to audiences rapidly compared to traditional and printed journals. (i) We have recently developed an “online manuscript submission system” called “Manuscript Handler”. Authors of ResearchersLinks journals will be using a beta version of Manuscript Handler for their manuscript submission, as will reviewers to review the manuscripts and editors to manage their journals. Manuscript Handler is being commercialised and the revenue will be used to meet expenses for all ResearchersLinks journals. (ii) A second section of the ResearchersLinks is to publish quality and high-demand books to meet some of our expenses for the journal. (iii) Major expenses are required to format and edit manuscripts which are compatible to all Abstracting and Indexing services as well as IT support and databases maintenance. Most of these services will be provided by third parties in developing countries, which will reduce our running expenses to significantly lower numbers than normally expected. We have developed a great wealth of professional tools including “Content Management System” and “Online Manuscript Handling System (Manuscript Handler)”. These services will be provided to existing and established journals to professionally promote dissemination and management of their contents. All these “Associated Journals” will be charged normal Article Processing Charges (APC), independently determined by the editorial board or their institutions/societies without any involvement of ResearchersLinks. 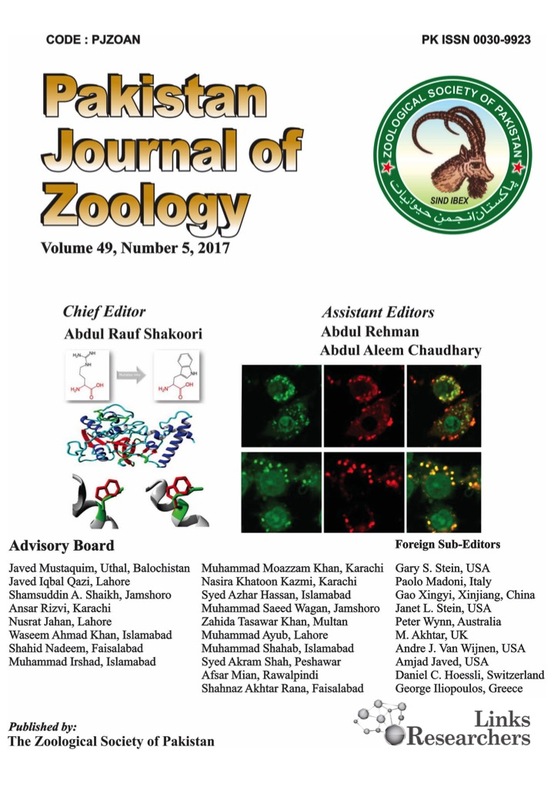 These Associated Journals will be clearly differentiated from our ResearchersLinks Journals either by showing their affiliations on the journal’s page or by listing them separately. The amount of APC will be clearly mentioned on the home page of the journal. ResearchersLinks ethical and publication policies apply to both ResearchersLinks Journals and Associated Journals. NB: Authors are kindly requested to verify a category (ResearchersLinks Journals or Associated Journals) before submitting their work for consideration. For any further clarifications please contact us at journals@researcherslinks.com writing APC or a specific question in the subject line. We ensure clarity in our published and in process contents to better serve the authors, readers, librarians and other academic stakeholders. Therefore, we make serious and genuine efforts to record as accurate information as possible. However, occasionally contradictive information may become available which could be either intentional, unintentional or due to lack of information. In these situations, we apply Committee on Publication Ethics guidelines on corrections, retractions and expressions of concern. In order to avoid any potential mistakes, all formatted articles are proofread by all authors and editors. This ensures correct information to be published, however, in unlikely events errors may occur. In case an error is identified in previously published articles, a correction in the form of a corrigendum or erratum is published in the upcoming issue. Since articles are read and cited as these become available online, we employ live updates through CrossMark for any corrections/updates are made on individual article bases. To ensure that Corrigenda and Errata reached to maximum audience, we assign page numbers and cross-link these corrections to the associated titles online. In case corrections are insufficient to address an error, Editorial Office and Editor of the journal discuss and advice either retraction or significant errata changes on a case-by-case basis. Authors are to be advised that inadequacies due to novel scientific research advances don’t require correction or withdrawal. In the event when substantial concerns develop, the Editorial Office and Editor will ensure that matter is adequately addressed with the authors' sponsoring institution. The Editorial Office will take main responsibility to investigate the research integrity and misconducts and will keep Editors informed on the progress. Decisions are made in agreement between Editorial Office, Editors and authors' sponsoring institution. In likely events, Editor may propose publication of an expression of concern over the fraudulent data or integrity of the work. Authors hold rights to withdraw their manuscripts at any stage before publication; however, post-acceptance authors are required to provide justification of retractions. Based on the justifications, the Editor will decide the final withdrawal or decline the request of withdrawal. In events when authors make multiple submission, bogus claims of authorship, plagiarism, fraudulent use of data or the like, Editor gives an opportunity to authors to provide convincing evidences before a final decision is committed. We publish “Online First Articles” which are not paginated or DOI assigned but accepted articles. These manuscripts will be removed from “Online First Articles” once will be given pages and published in an issue along with all citation information (volume, issue, page numbers) under Current Issue before archiving them in past issues. The overall contents would remain the same and there may be differences in citation information between Online First Articles and the final published articles. At this stage, if errors are identified or the articles violate our journal publishing ethics guidelines (such as multiple submission, bogus claims of authorship, plagiarism, fraudulent use of data or the like), articles may be “Withdrawn”. However, once articles are published these cant be withdrawn unless full justifications for the withdrawn are provided to the associated stakeholder. There are occasion, though rare, when a published research is clearly defamatory, breaching legal rights, is a subject of court order or it will pose serious health risks. In these situations, except the Title and Authors names, all associated data and documents are removed. Similar to retractions, article removal notes are displayed to inform readers. Under identical situations of Article Removal, authors may occasionally wish to replace the flawed article with corrected information. In these circumstances, the procedures for retraction will be followed with the difference that the database retraction notice will publish a link to the corrected re-published article and a history of the document. Pre-print and Pre-published Work: We decline the publication of material that has been online on pre-print or the work has been previously published online, offline or on any other electronic or print media. Indexing and Storing: Authors are allowed to index and store the published work in any private, public, professional and institutional repositories including Research Gates, University Repositories, etc. •	Advertising must be separate from content. Content may not be altered, added, or deleted to accommodate advertising. Advertisers have no input regarding any of our editorial decisions or advertising policies. The advertising sales representatives have neither control over, nor prior knowledge of, specific editorial content before it is published. •	We reserve the right to decline or cancel any advertisement at any time. •	Third-party advertisements may not use our name, logo, or title on their web pages or email alerts unless previously agreed. •	Advertised products must be compliant with the regulations in the country where the advertisement will be seen. Advertisements for pharmaceutical products (including new drug applications) that are subject to U.S. Food and Drug Administration oversight must comply with FDA regulations regarding advertising and promotion. •	Users will be able to distinguish advertising and editorial content clearly on the web site and in e-mail alerts. Commercial advertising does not appear on the same screen as editorial content on the web site or in full-content e-mails. •	Advertisers have no control or influence over the results of searches a user may conduct on web pages. Contact us at journals@researcherslinks.com for advertisement kit, which contains terms and conditions, pricing and affordable packages. This site is owned and operated by ResearchersLinks, a company registered in England and Wales Company Registration No: 08492932 and registered address at ResearchersLinks Ltd, 111 Avondale, Ash Vale, Surrey GU12 5NF United Kingdom. All logo, cover pages, and designs are trademark of ResearchersLinks. Any connection with sale, distribution and advertising of any goods and services are prohibited unless previously agreed. You can access this website without registering with us, however, to submit and track the processing progress you are required to register at Manuscript Hander. These contents are made available through ResearchersLinks in kind co-operation with Manuscript Handler via ZGTechnologies. We are not responsible for or endorse the accuracy or reliability of any data or conclusions reported in such content. All contents are intended for guidance and reference purposes only. We are unable to guarantee that our sites will always be live, functional, uninterrupted, up to date, or otherwise free from errors, omissions, bugs, or viruses. We own right to suspend, withdraw, discontinue, or change all or any part of the website without prior notice. We will not be liable to you if for any reason our site is unavailable at any time or for any period. You are responsible for regularly creating backup copies of your work. By submitting contents to ResearchersLinks/Manuscript Handler, authors agree to the following provisions, which may be updated time-to-time. Submitters are fully responsible for the submitted content and they agree to not to post or submit any content that violates or encourages the violation of any applicable local, state, national or international law, rule, or regulation, or is otherwise inappropriate. We reserve the right to reject, edit, remove or otherwise alter any content submitted for any reason. Once your submission is published, you will not have the right to have it removed or edited. You are restricted in sharing login credential for the Manuscript Handler. Violation may subject to account blockage. You are encouraged to link our websites to sources, which are fair, legal and concerned to scholarly publications. However, you must not suggest any form of association, approval, or endorsement on our part where none exists and you must not establish a link to any site that is not owned by you. Our site shall not be framed, famed and we hold full rights to withdraw linking permission without notice.